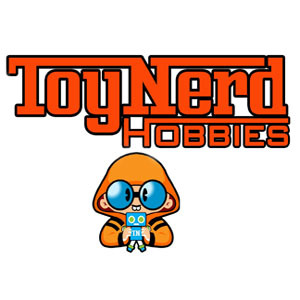 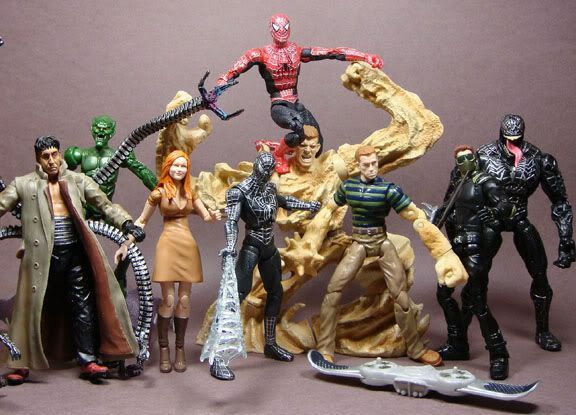 The Hasbro Spiderman movies 6″ line. 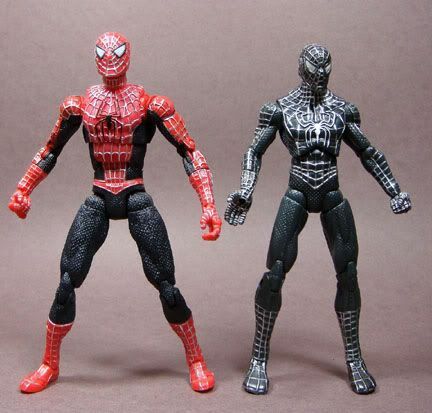 The good news is that some of these figures are reissues from the Toybiz line, the bad news is that Hasbro blew it and didn’t give them the same paint finish and the joints on these “reissues” are really horrible. 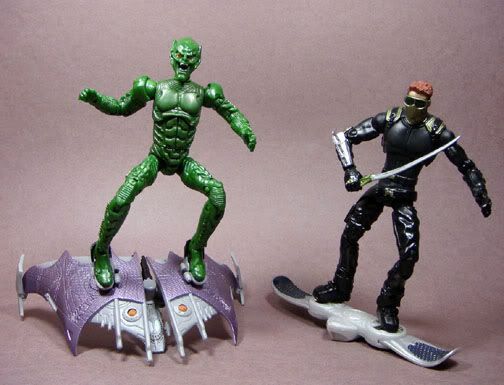 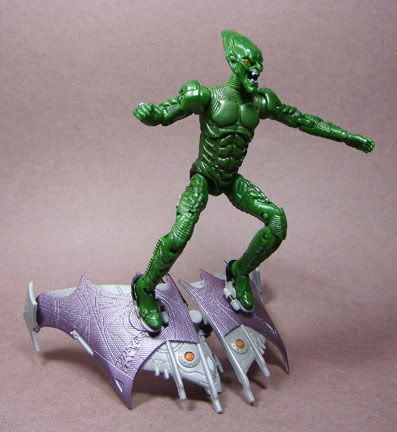 New Goblin (Harry Osborn, again, the mask does not come off). 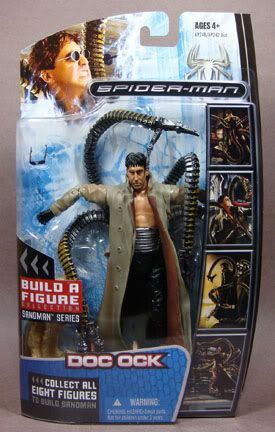 Now, as I said, the joints are really, really bad, especially on Doc Ock. 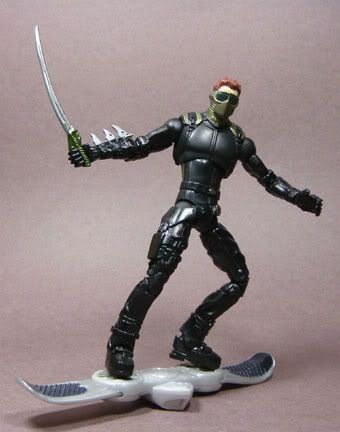 there’s practically no resistance on most of his joints (the Toybiz version had tighter joints). 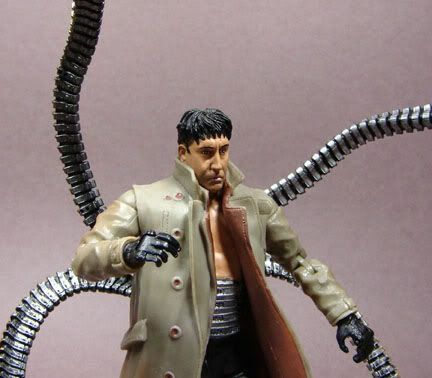 Worse, the lower tentacles don’t even have an inner wire running through them, so they’re just basically limp. 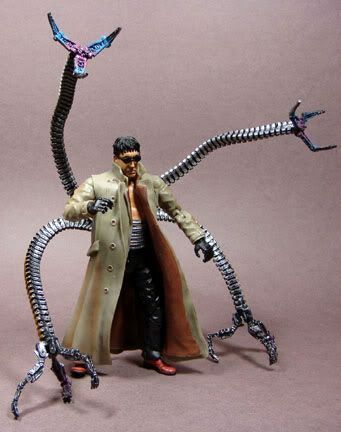 The upper tentacles do have a wire in them though. 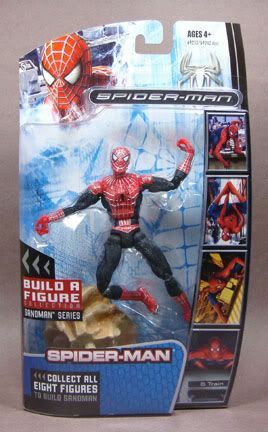 Spidey’s a reissue of the Spiderman 2 figure, which isn’t that bad, but you do have to watchout for missing paint apps on his webs (chest and face!). 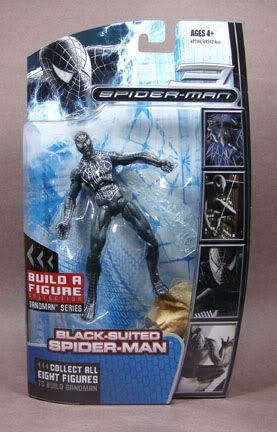 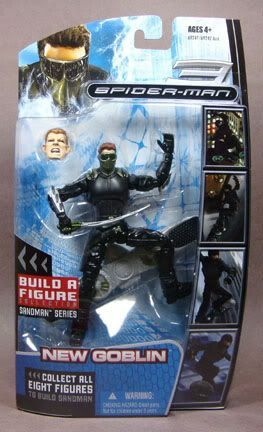 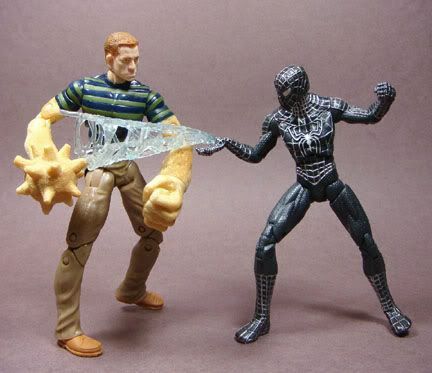 The black suit Spidey is also bad, why couldn’t Hasbro just repainted the same figure?? 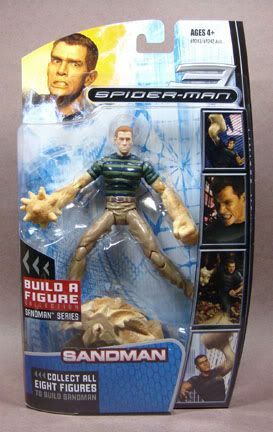 Why?? 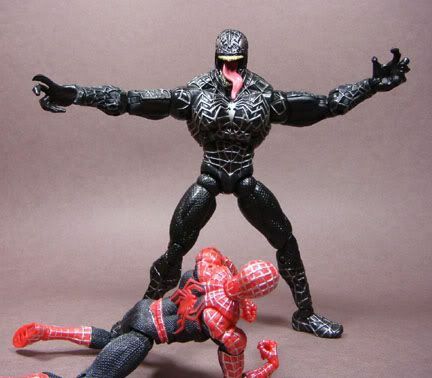 This is a nice figure, big and nicely articulated, it would’ve been nicer with a matte finish but I’m sure glad they didn’t release it in purple like they did for the 5″ line. 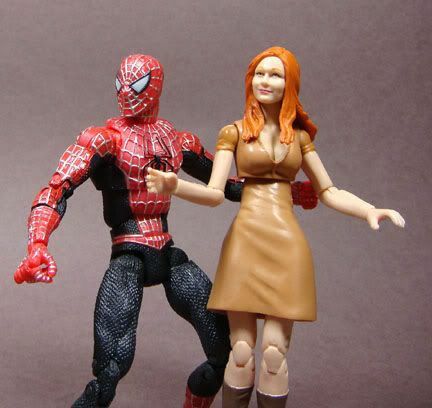 While the headscuplt isn’t exactly spot-on, it’s easily a better figure than the Chinese dress wearing MJ from the first movie. 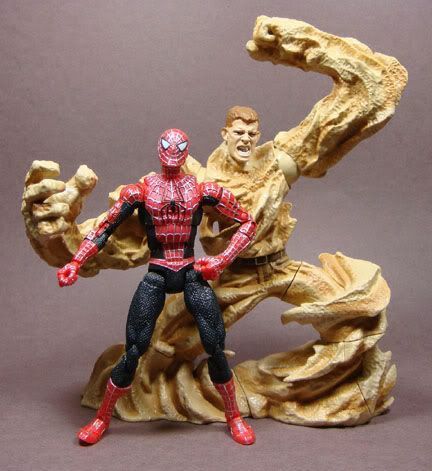 Why Hasbro felt they had to give MJ a wooden plank is beyond me. 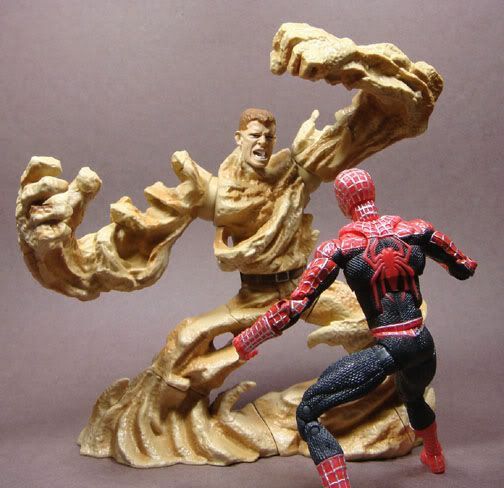 Seriously, with the kind of foes Spidey has, does a wooden plank even do anything? 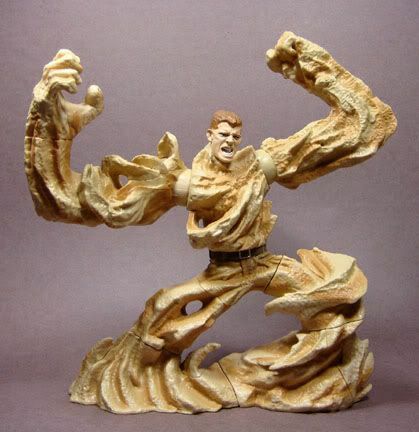 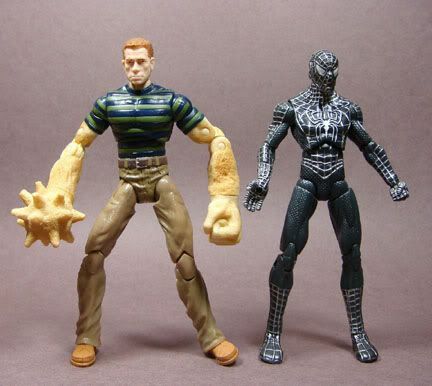 Last but not least, the BAF Sandman. 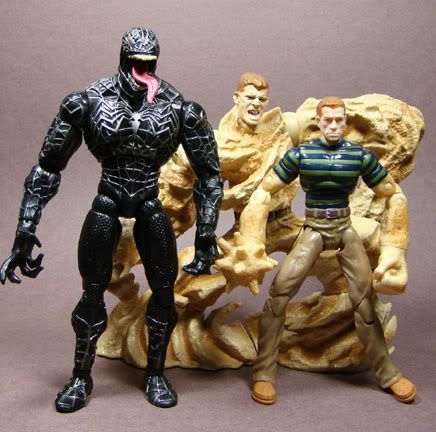 Yeesshh, I did not expect Habro to make him this small. 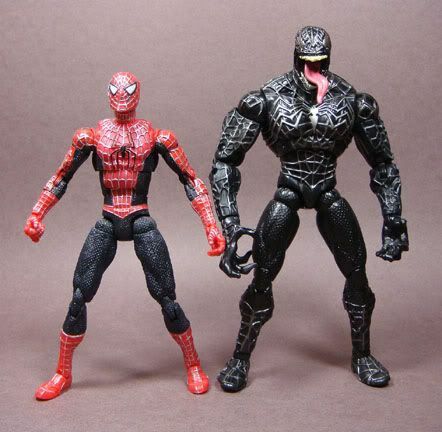 Geez, even Venom’s taller. 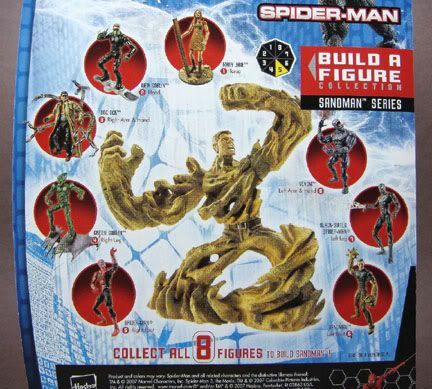 Worse still, the BAF Sandman has little articulaton. 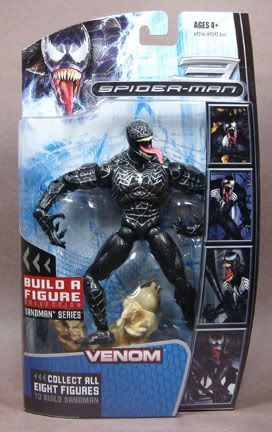 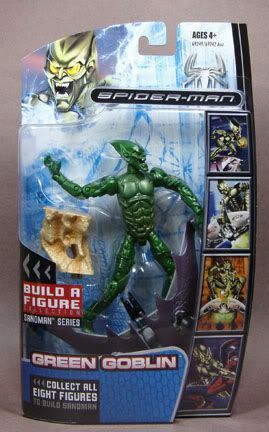 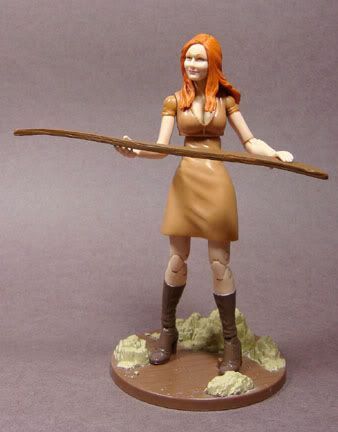 I gotta say this has got to be the worst BAF figure ever! 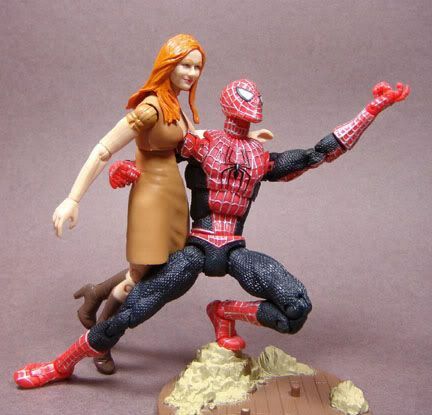 It looks a little better with Spidey crouching.